A Lifeboat committee responded to a recent NASA Request for Information (RFI) regarding NASA's proposed initiative to capture a small asteroid and park it near the moon. July 20, 2013 — A Lifeboat committee responded to a recent NASA Request for Information (RFI) regarding NASA's proposed initiative to capture a small asteroid and park it near the moon. NASA's initiative is relevant to Lifeboat concerns since it will test technology that might redirect a dangerous asteroid, and test technology for use of asteroid material might enable a space-based singularity. There is enough material in the asteroid belt to build O'Neill habitats that could support, by one estimate, 10,000 trillion people. 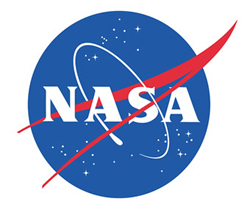 Lifeboat responded to a portion of NASA's query that asked about forming partnerships with outside organizations to help engage the public and enable public participation. Our response is at https://lifeboat.com/reports/lifeboat.rfi3.response.pdf. The Lifeboat Committee to Respond to NASA's Asteroid Redirect RFI consisted of the following Advisory Board Members, who answered our call for volunteers: Kevin Berry, John Cassel, Seth Cochran, Christine Hansen, Zoltan Istvan, Dean Kekoolani, Ravi Kuril, Perry Monroe, Rod Pyle, John Strickland, Brinkley Warren, and Frank White. Kevin Berry, John Cassel, Seth Cochran, and Dean Kekoolani were on the editorial subcommittee. Authors, who contributed ideas that were used in the response, were Kevin Berry, James Blodgett, Dean Kekoolani, Perry Monroe, and John Strickland. Eric Klien did some final copy editing and approved the submission. This is Lifeboat's third response to NASA RFIs. A recent response to an RFI regarding partnerships is at https://lifeboat.com/reports/lifeboat.rfi2.response.pdf. About 40 Lifeboat board members participated in the DARPA/NASA 100-Year-Starship initiative in 2011, and Lifeboat responded to an RFI and an RFP related to that initiative. Lifeboat proposed a portfolio of ten projects and 45 prizes. These are listed in Appendix A to our RFI response regarding partnerships at https://lifeboat.com/reports/lifeboat.rfi2.response.pdf.